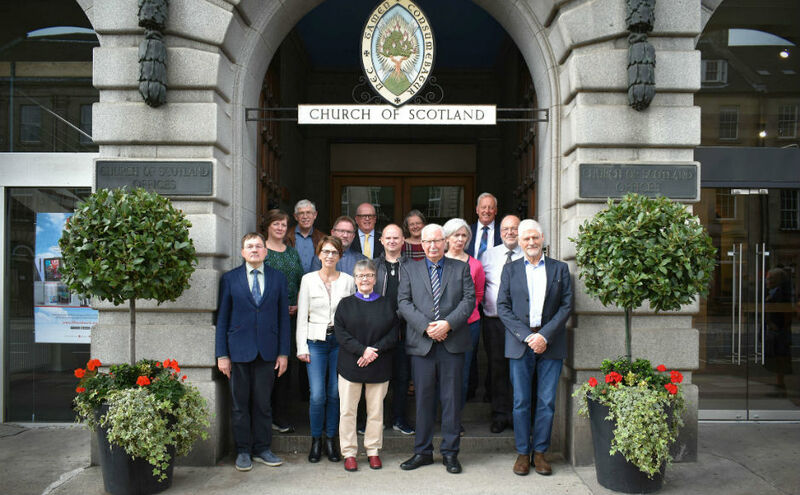 Faroese visitors strengthen relationships with their "nearest neighbour"
Church leaders from the Lutheran Folks Church of the Faroe Islands visited the Church of Scotland offices in Edinburgh this week to strengthen relationships with their "nearest neighbour." Led by Bishop Jógvan Fríðriksson, who is the head of the church, the delegation was greeted by Kirk representatives including the Moderator, Rt Rev Susan Brown, and the Principal Clerk, Rev Dr George Whyte. The delegation's next stop in Scotland was the Western Isles where they have been hosted by churches in Lewis. The Faroe Islands lie approximately 200 hundred miles north-east of Scotland and are an autonomous country within the Kingdom of Denmark. Rev Dr Jákup Reinert Hansen who was part of the delegation spoke of the trip as a chance to "expand horizons". "In 2007 the Lutheran church in the Faroe islands was made an independent church", he said. "In order to not stand alone but also expand our horizons it's important for us that we get acquainted with other churches, especially in the North Atlantic. "We share fishing communities but also issues around the modern world, depopulation in the outer areas and concentration in the villages, and ethical questions. "The bishop has been to Iceland, to visit their bishops and he went to Bergen in Norway. "The Church of Scotland is a bit different as it's a church in the reformed tradition whilst we are Lutheran. "Scotland is very close - our nearest neighbour - but we don't know that much about one another so it was obvious that this should be the next visit. "We chose to visit the Western Isles due to their fishing heritage and similar issues such as depopulation, strict religious beliefs in the modern world, and not having enough ministers for the number of churches - with these questions how do you keep up a Christian life? "We also have a strong tradition that lay people have a big role in church life - it wouldn't work otherwise - which is something we're proud of. "So we hope to learn a lot about how you deal with the issues of modern times perhaps to also contribute a little and share information, ideas and we hope to see a visit from your side to the Faroe Islands." 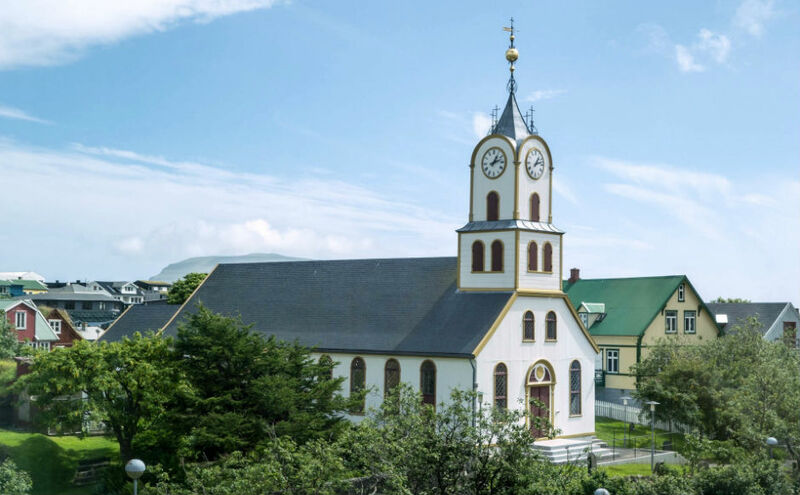 "The opportunity to welcome representatives of the Lutheran Folks Church of the Faroe Islands was especially welcome as they are one of our nearest neighbours, separated by only 200 miles of sea. "Historically there have been close ties through the fishing community. "Through discussions it's clear that many of the challenges they face are the same as those faced by island churches in Scotland. "The discussions proved fruitful and it is hoped that they will continue with our creative partnership in the future."